Interesting article. One of my previous teachers used to demonstrate all the time and I would be almost bodily shoved off the piano stool to enable her to “show” me “how to play” certain passages or practise an aspect of technique. (As it turned out, she was really trying to make me play like her which is why I moved to another teacher.) I try not to demonstrate too much in my own teaching, preferring to encourage students to use their imagination to arrive at the soundworld and interpretation they want in their pieces (these are grade 4-7 level students). I certainly don’t want them to sound like teacher – that just boosts the teacher’s ego! I want them to take ownership of their music and create their own personal sound for each piece (and teaching the same piece to several students is really interesting as each arrives at a different and very personal version of it). Of course, as you say, some aspects of technique in particular cannot be explained verbally alone and some demonstration is necessary. Yes, I think this is true Fran, it has to be a very careful balance of some demonstration and then allowing/encouraging students to find or ‘discover’ their own sound…. That sounds like a super difficult experiment! But I do try to be careful with demonstrating, and do it as minimally as I feel possible. 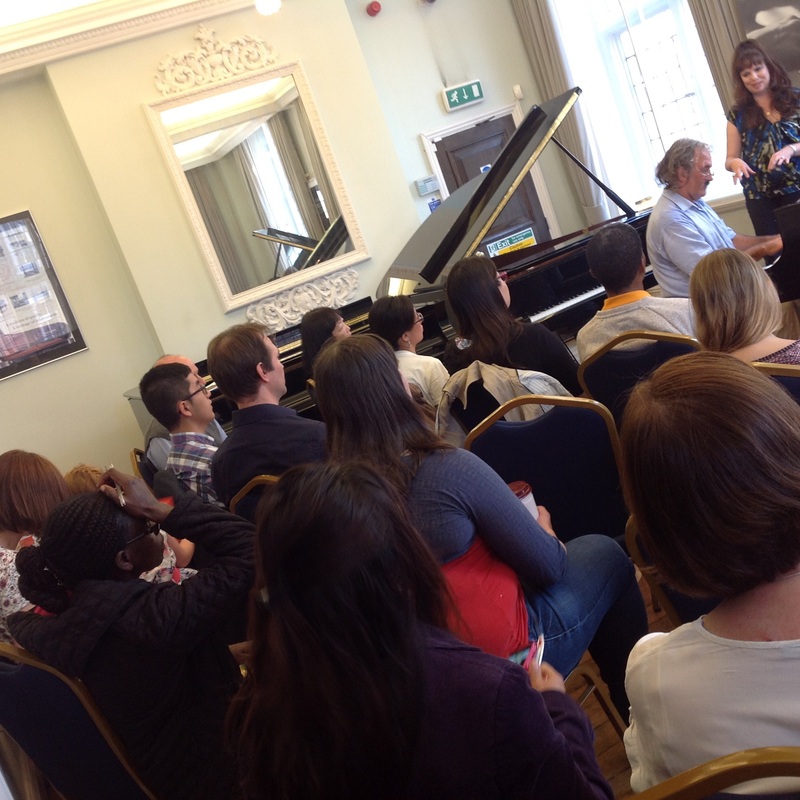 I’ve met piano teachers in the past who spend half the lesson playing the piano, and while everyone has their own methods, I don’t find that type of lesson as valuable for the student. So like you said, there are some things that probably need to be demonstrated for clarity, but it’s good not to rely on it too heavily!